Starting a new job and moving to a new neighborhood in June meant a change to my workout routine! Thankfully ClassPass (click that link to get $30 off your first month, and full disclosure, I get $30 off too) has options all over Boston, so the service I use has stayed the same, but the classes I pick have now mostly changed from those I used to attend. Since I live in Charlestown and work in the North End, I’m mostly attending workouts in those two areas of the city. 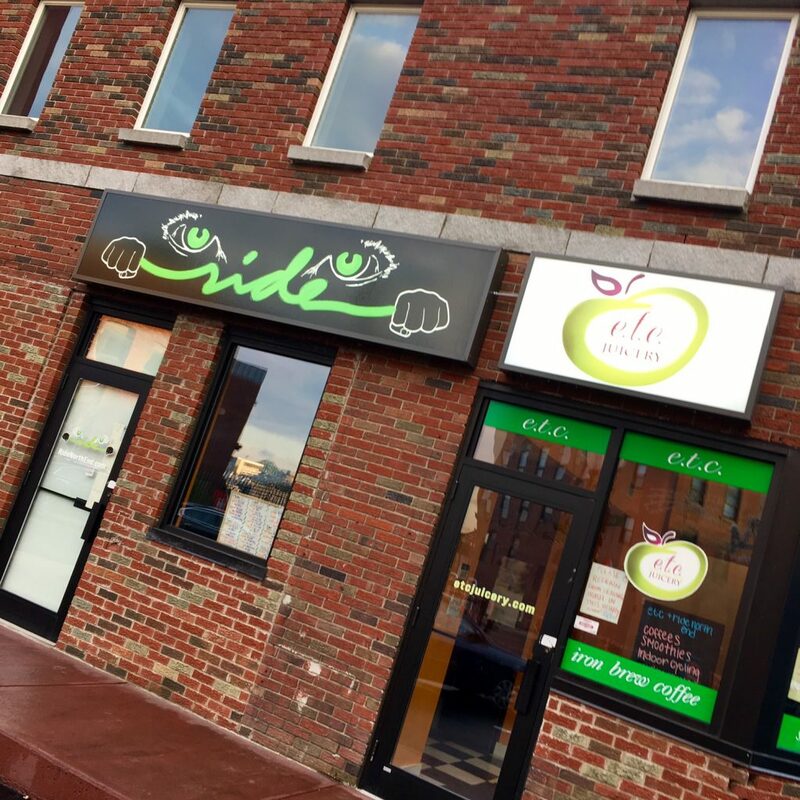 I’ve been to the Exhale in Back Bay before, but had never gone to the Battery Wharf location until I moved. I actually prefer it over Back Bay! No need to take an elevator to the locker room, and the entire studio feels more sleek and zen to me…maybe because it’s on the second floor and I can’t see shadows walking by when I’m in barre. The 7:05 AM morning classes have been really convenient, especially since Exhale offers the nicest locker rooms I’ve ever been in, complete with provided robes and shower flip flops (it’s SO great not to pack those). I’ve tried regular Core Fusion Barre, Cardio + Barre (half an hour of cardio followed by half an hour of barre…loved this), Extreme (this was set up with five bootcamp stations), and Yoga. It will always be hard for me to get through a normal hour long barre or yoga class without getting antsy, but the Cardio Barre and Extreme classes both fly by, despite them being the same length. 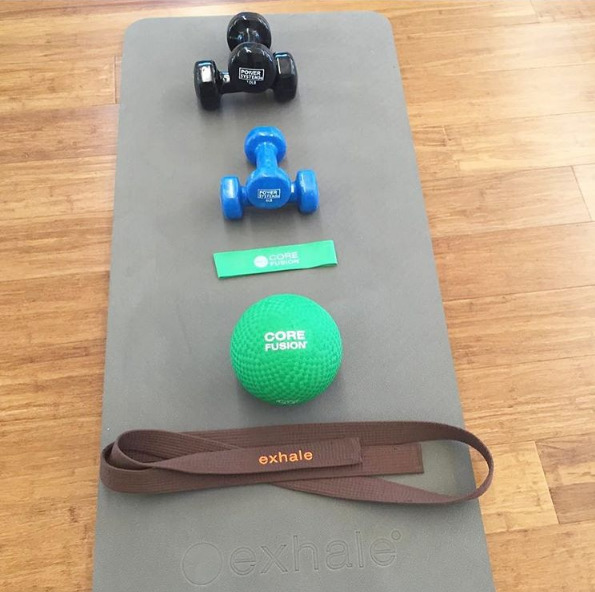 I’ve also yet to have a bad instructor at any Exhale location – always a plus. While Ride does not offer showers, making it impossible for me to go before work, I still really like this studio for a weekend or after-work visit because it’s located nearby in the North End. The room is nice and dark and I’ve yet to have an instructor with music I didn’t love (the owner even plays emo throwbacks from my high school days – very fun). As I’ve mentioned previously, I also like any studio that doesn’t assign me a bike number ahead of time. Some days I feel like sitting front row, and some days I feel like junk and would rather sit way in the back. With ClassPass you can’t choose your bike number, so at studios with assigned bikes you just get one assigned to you and have to hope it’s in a location that you’re feelin’ the day of class, or that a more preferable bike is available. No bike assignments means no worrying about that. Finally, Ride offers a juice and coffee bar where you can pre-order a drink ahead of time and have it ready for you when you get out of class. The only other place I know that does that is Barry’s! I’m all about the efficient workouts. Get in and get out. 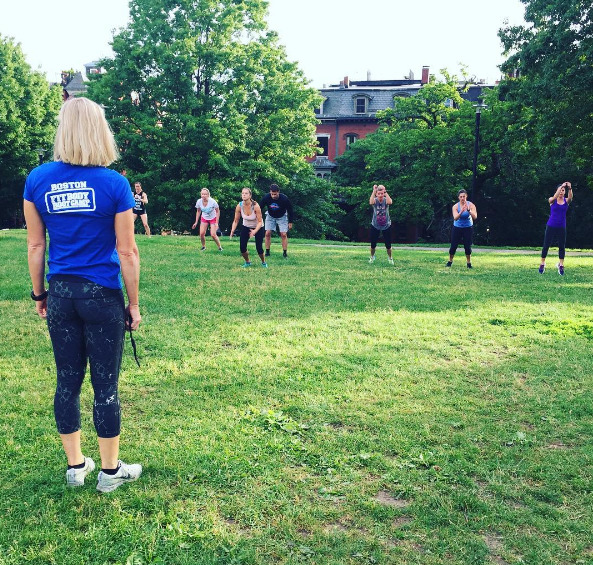 So when I first heard about Boston Fit Body Boot Camp, a facility that offers 30 minute boot camps AND is located walking distance from my apartment, I was immediately interested. Though short, these classes are no joke. Each starts with warm-up (sometimes outside depending on the weather), and then the instructor explains the five stations of class, each featuring two exercises. 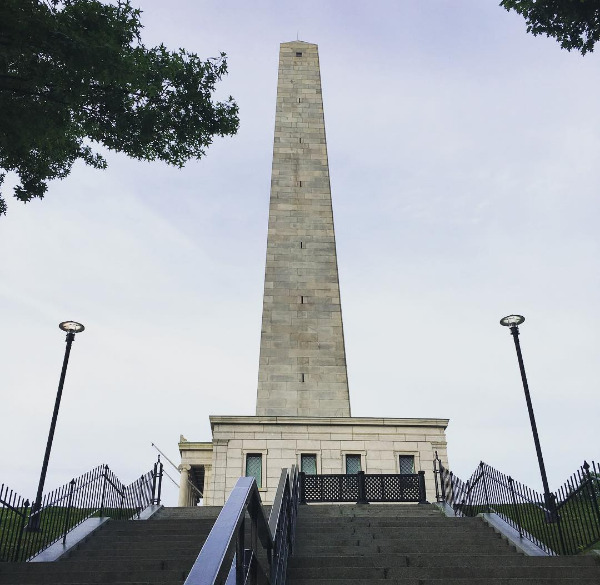 A few times a week, Boston Fit Body also offers outdoor 45-minute boot camps at the Bunker Hill Monument (very November Project-esque, though not free). I’ve only been to one, but still managed to sneak my way into a not-so-flattering photo on their Instagram. That’s me in the white top and pink shorts on the left, looking very pained as I frog leap up the hill. I totally recommend this place – their locker rooms are also very nice – and you can try it out easily enough even if you aren’t on ClassPass. 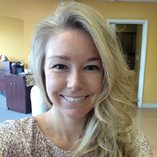 They offer three free classes for first time visitors here! 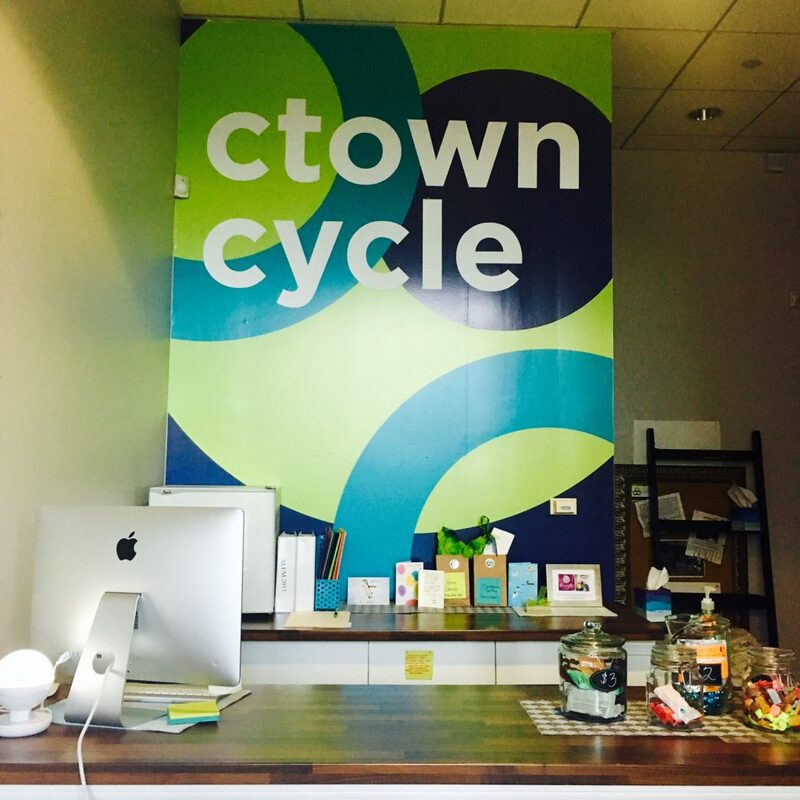 I feel like this blurb about ctown cycle (formerly known as Charlestown Cycling Club) is going to make it sound like I don’t like it there, so I’ll start first by saying that the instructors are motivating, the music is solid, and the location and times of the studio are extremely convenient to me! ctown does not have a shower, so I can’t go there before work. But it’s literally on my way home, so I don’t mind too much – I can still go on weekends or after work. I also am not affected by the fact that ctown doesn’t offer spin shoe rentals because I have my own pair. But I will say that those who attend should bring sneakers if they don’t have their own. Most spin studios in Boston offer spin shoe rentals, whether free or not, so I don’t think it’s unfair to assume that ctown would as well. I can see someone showing up in flip flops expecting to have been able to rent shoes, and being out of luck. I also wish the studio would take down the giant digital clock in the spin room. Nothing is more distracting in any class than a clock – even a normal one. But I glance at the giant digital one that ctown cycle has (it even counts seconds) about 50 times per class. You can see it in the mirror behind the instructor, so not looking back doesn’t work either. There is literally no bike in class that doesn’t offer a view of the clock. Trust me, I’ve checked! Those are my four most visited studios, but I’ve still been going to Flywheel, Turnstyle, and Vixen Army at BFX Studio when it’s convenient for me (and when I hit my three class per month limit on studios close by). Overall I’m happy with my decision to stay with ClassPass despite the price hike; the great workouts have been worth the money! Which of these studios appeals most to you? What are some of your fitness studio must-haves?